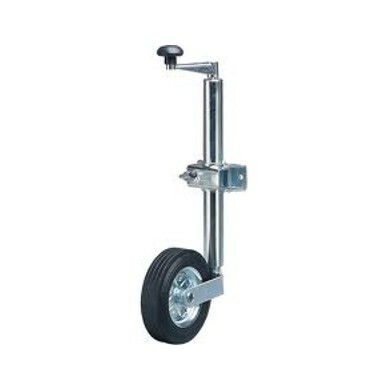 Front Jockey wheel for use on Powerhouse Trailer-2-Go/ Uno Trailer/ Duo Trailer. Helps with maneuvering of trailer whilst loading. It is necessary to drill towing arm if not supplied with the trailer.